Golf, coaching my two daughters sports teams - golf,soccer,softball and basketball. Nik - Washington State Srixon z565 9.5* Aldila Rogue I/O 60S stiif - 44" length + 13g weight 22 hc, 105 mph via Trackman Have only hit their clubs during demo days, clubs tested okay but did not have shafts that fit my swing. Nik - Washington State, 30 rounds/yr FB and twitter 22, 105 mph Srixon z565 9.5* w/Rogue I/O 60 stiff w/ 13 gram wght - 44.5", Callaway GBB 15* 3w w/Rogue I/O 70 stiff - 42.5" - GP Tour Wrap, Titleist 915 H 21* set @ 20.25* Flat Speeder Motore Tour Spec 8.8 - 40"- GP Tour Velvet, Srixon z565 irons 6-4 iron C-Taper Lite stiff, Srixon z765 irons PW-7 iron C-Taper Lite stiff - irons 9 thru 4 @ -1/2", PW thru 60* @ 35" all std lie w/GP Tour Wrap, Vokey SM6 50*/8 F grind DG S200, 55*/10 S grind DG S200, 60*/8 M grind DG S200 F9 Tour 9*, F9 3 wood, King 3 and 4 hybrid, F9 one length, King Wedges 50,56 & 60 and Cart bag. Thank you for this amazing opportunity!! 1. Nik / Washington State 2. Green Island waterproof pants, Mt. Hardware rain shell 3. The Home Course in DuPont, WA last year this time of year - started with slight breeze thru 4, started to sprinkle on the 5th, poured on the 6th, had to retreat to the clubhouse on 7 due to lightning. Resumed after an hour delay got thru to 15 when it just started to rain, then poured on 17, pushed thru to 18 when it started to snow but was able to finish up - made it to the 19th hole for a hot toddy! Have you guys read the articles and the other threads regarding the True Golf Fit, it is only a fitting recommendation tool based on trackman data. Its for people who buy off the shelf and don't get fitted. It just give's you options to try based on data, there is an expert mode to add your actual swing speed and angle of attack to help fine tune so to speak. So when you go in to demo driver's you can say hey I hit these one's usually but I would like to try the Srixon and Mizuno line and maybe Tour Edge drivers. Just thought you guys should know that it's no way designed to give you the exact driver you need, just to give you options to help narrow your choice. Heres my latest review on the ball after playing in a tourney with them. Kallander Spanaway, WA October 30, 2018 at 05:43 PM Washington golfer here, an update on testing the Red Number Proto. Was in my mens club golf tourney and alternated each hole with the current ProV1x and Red Proto 2019 (until I cracked the ProV1x on the 6th hole) and have to say I wasn't sure at first but I think I will bag the new Red's when they come out next year. It was a fairly breezy day but had no issues with ball flight, pierced the wind when I needed it too and held greens all day. Still feels fairly the same off the tee, but with irons and wedges I was able to spin the ball back even when I had to flight my long irons. I drove the ball pretty solid and was able to either long iron or short wedge on in regulation for most of the day. On a par 3 about 186 yards I flighted my 4u nice an high to stop pin high but pushed it about 15' to the right, divot mark was 2 inches in front of my ball... Also of note shot my lowest round for the year and took 3rd in my flight using the combo ball set. So pretty pleased with the ball so far. I received the opportunity to test the new 2019 Proto Reds against the current ProV1x and was wondering if you guys at MGS and the Forum's Crew were able to try them and what you thought of them. My review is below. Kallander Spanaway, WA October 18, 2018 at 04:26 PM Washington state golfer here. I normally game the ProV1x so was sent a sleeve of the Proto Red Numbers, but not having bought balls in a few years and recently purchasing a new box - quickly found out and then researched that the X's are the spinnier and more flighted of the ProV's and will be testing the ProV1 and the AVX soon. That being said I still took them out and tested them against each other. (if Team Titleist would like to send me Proto Black Numbers to compare...) Putter - The only difference I could feel was the Proto's cover was a tad bit softer. Both roll, hold speed and line really well. Wedges, 60* and 56* - Here is where I saw some differences. On 5,10 and 15 foot chips - not any difference, same flight and roll out. Now on 15,25 and 50 yard shots - the Proto's held on the face a bit longer and checked up and even rolled backed. Flight was same just seemed to spin a bit more. On the course for a couple of rounds of 9 - On the first nine I hit both balls on every shot, almost best ball format, on the next two nines I put one of each in my pocket, randomly selected and played the ball to completion of hole and tried to not look at which ball I was using. Off the tee they both carried and rolled out about the same distance and had similar flights. (This is where I noticed the difference in ball flight, spin and lack of roll out.) I hit driver, 3 wood and 3 hybrid off the tee and flights were nearly identical - high flight with a steep decent with very little roll out. On shots from the fairway onto the green the shots were nice high flights that held the greens perfectly. They both feel good off the irons and wedges but the Proto's check up way more and have a tendency for my shots to roll back a bit too much especially off the wedges. Also of note, due to the higher ball flight and fall breezes my shots were knocked around a bit on a few holes with both balls. Overall the 2019 Proto Red Numbers feel like a slightly softer, spinnier version of the current X. I think I will have to try the current ProV1 and AVX and compare as I don't need quite so much spin, that being said the nice high flight and steep decent on the current X and Proto would be good to use on courses with older smaller or firm summer greens that I will need the ball the check up on. I will need to however find a fall/winter/spring ball as the PNW breezes would drastically affect my ball in the air. Nik Washington State Ping Sigma G Ketch B 33" Exo Seven 33"
These are not designed to replace ProV's but a compliment to their lineup. I normally bounce between zStars and ProV1x's (I know 2 very diff balls). The AVX are low spin, low flight balls - so it will never spin like a ProV nor is it supposed to. If you are a high spin player or need a lower flight for say windy days then these will work for that, if you are a low spin player already then these may spin and fly too low for you. I used these this spring in WA which tends to get breezy and got a nice low penetrating flight off my driver, 3 wood and hybrids, now distance was a little shorter but I was on the fairway almost every time (now if i can just chip and putt...). Even off the wedges the flight was noticibly lower but did hold the greens when I needed them too. 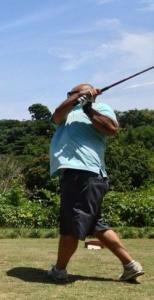 I did notice tho with my 7-5 irons a much lower flight but close to same distances. Another thing to note is these are a softer easier compression ball and in colder weather these will feel firmer than say in the middle of summer. Overall I would rate these a 4 outta 5 and recommend that you keep a sleeve for those windy spring an fall days.